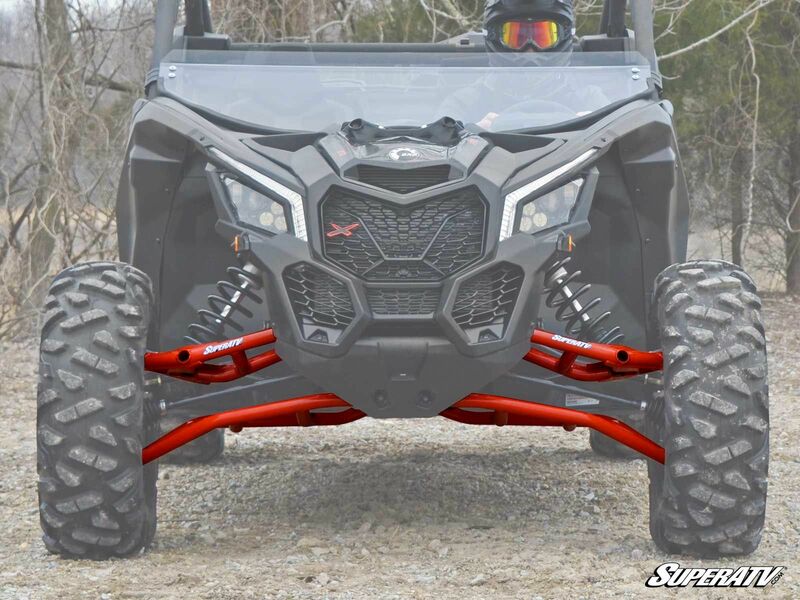 Get the most out of your Maverick X3 with SuperATV's maximum clearance a arms. 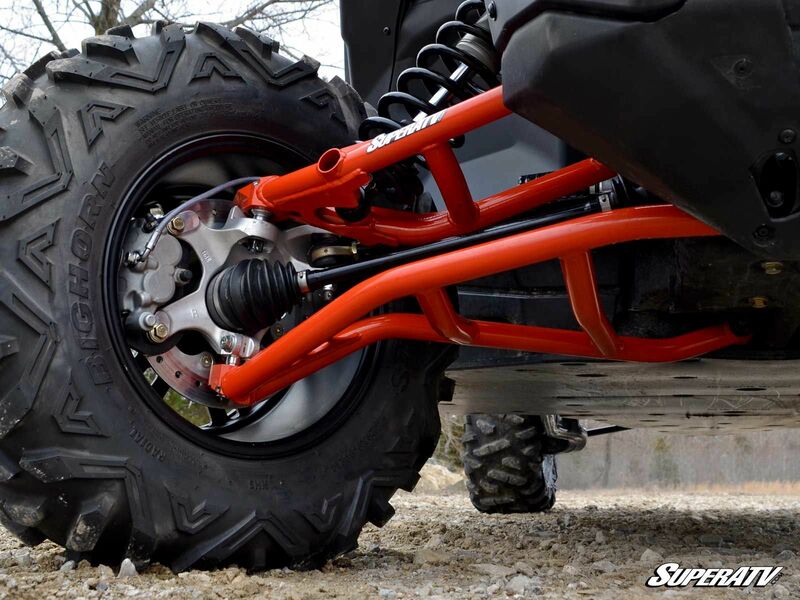 Get an additional 2" of clearance without adding a lift kit! Backed by a Lifetime Warranty, our unique dual bend design control arms are carefully crafted to maintain factory steering geometry. What does that mean for you? No added wear and tear on important components such as axles and tie rods! 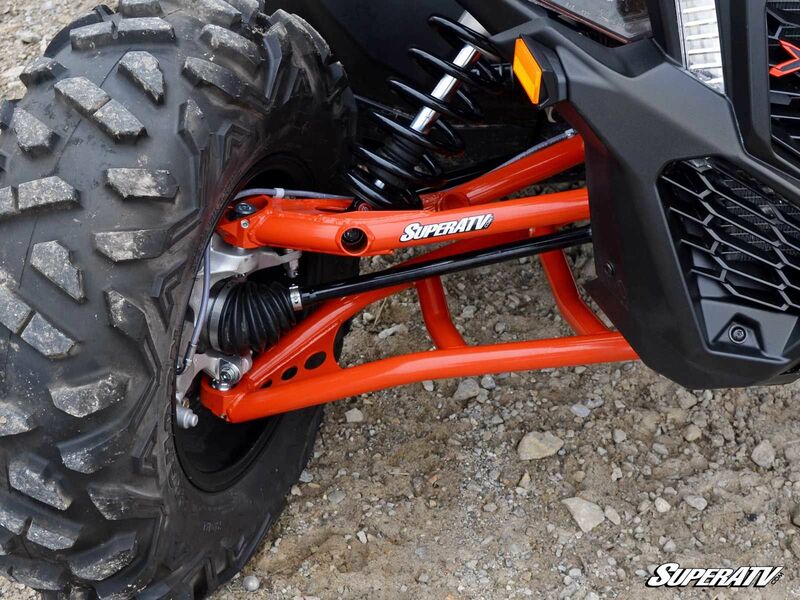 SuperATV spared no detail in the creation of these arms and tip to tip you will see strength, style, and features that are unmatched in the market. We know ball joints can be a weak link. 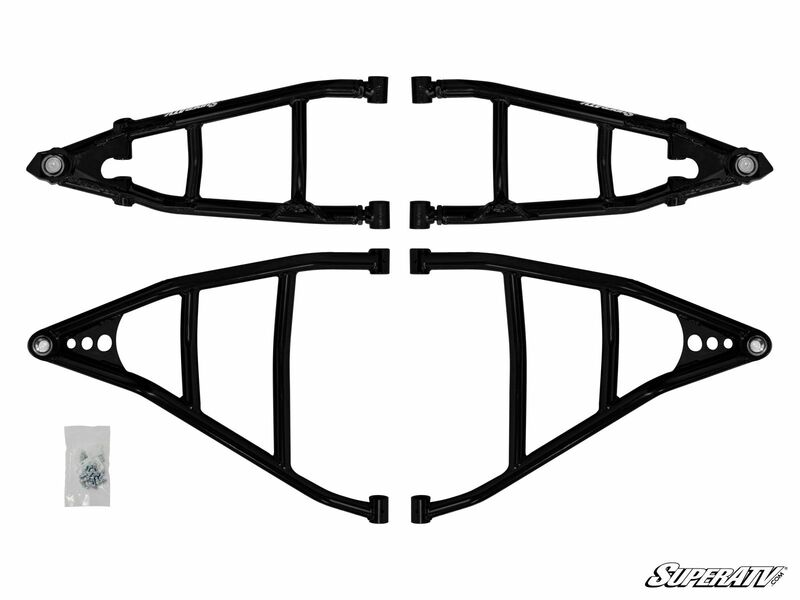 To ensure a bullet proof design, our a arms are paired with a 4130 chromoly uniball. Match top of the line materials with a stud that is 130% larger than OEM, and you've got a set of arms that are Built for Battle. Important to note that the SuperATV uniball studs are not necked down; they measure 17.9 mm compared to the OEM ball joint stud at 13.6. With a larger stud and meticulously heat treated materials, you have a uniball that is much stronger than your stock ball joint.